You might know the difference between a cabernet sauvignon and a sauvignon blanc, but do you know the definition of viticulture? Viticulture is the study of grape cultivation and a science that the Athenian historian Thucydides claimed to have had a civilizing effect. And since the cultivation of grapevines has been going on for centuries, it may not be the most expected field of study to apply Artec 3D solutions to. 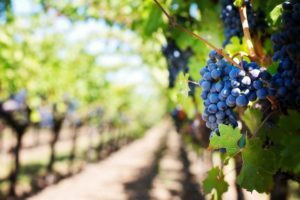 Yet grape cultivation stands to gain enormously from using them, as a group of researchers has shown recently in their article. Published March 2018 in the journal, Sensors, the researchers’ study grapples with the issue of fungal diseases or “bunch rot.” It is known that bunch rot can often lead to infestations, which result in damaged crops and diminished yields. Researchers from the Institute for Grapevine Breeding Geilweilerhof and University of Bonn joined forces in this research to develop an innovative image-based analysis method with the goal of helping to reduce bunch rot and improve grapevine selection for breeding purposes. Instrumental in their approach was Artec 3D’s very own Space Spider 3D scanner. 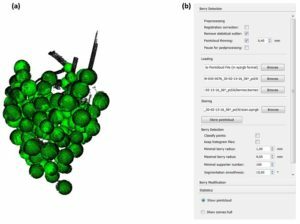 During their experiment, researchers discovered that using Space Spider to create visualizations of grape bunches could help significantly speed up statistical assessment of plant characteristics when compared to existing methods. Based on blue LED structured light technology, Artec Space Spider is a user-friendly, fast, and powerful 3D scanning device that generates rich, high-res digital images. Used in a multitude of industries, it can capture a wide array of complex geometries, textures, and colors with a 3D point accuracy of up to 0.05 mm. Weighing at just under two pounds, this extremely lightweight 3D scanner performs equally well in the lab as out in the field. This made it ideally suited for the range of scanning contexts devised by the researchers of the study. In their paper, the authors of the study immediately recognize the correlation between “bunch compactness” and risk for bunch rot. Likewise, other studies have previously confirmed that the denser the grapevines, the likelier that infestations will occur. And eliminating bunch compactness makes good business sense, as heightened chances for crop infestation due to bunch rot can prove detrimental. After all, grapes are one of the most profitable crops worldwide. For grape growers, the Artec Space Spider 3D scanning method enables them to make more sound choices when it comes to grapevine selection and breeding. With it they can increase crop yields by taking active, preventative measures against chances of fungal diseases and infestations. And all it takes is applying 21st-century 3D imaging solutions to the millennia-old science of viticulture. To read more about this study and the “3D-Bunch-Tool” software application designed to extract the scanned information about grape bunches, click here. If you have any questions about Artec 3D products and how they can help your business, click here and an expert from The SolidExperts will be happy to help you.